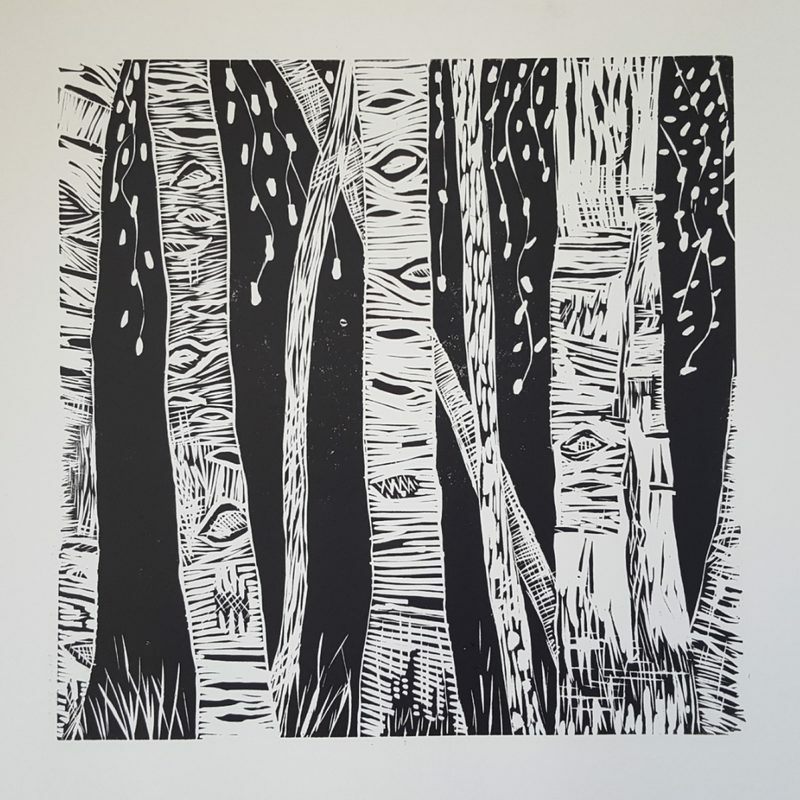 Linocut print of silver birch trees. 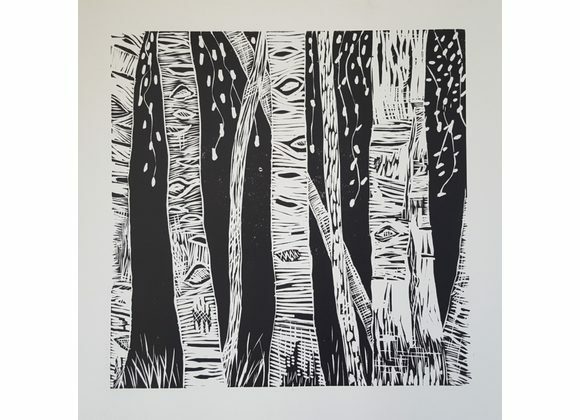 The print area is 12 x 12 inches/30.48 x 30.48 cm. This print is a limited edition 1/5.